We are a loosely coupled group of scientists and software engineers interested in complex (adaptive) systems. We share a common interest in their behavior, especially in the phenomenon of emergence and the organization and dynamics of living systems. According to the mottos of the famous universities Berkeley, Harvard, Oxford and Princeton, we try to bring light into complex problems – “Let there be light” (Fiat lux) the Berkeley motto – and use the insights, wisdom and power of the group to achieve this goal – in a sociological sense, god simply means group, i.e. 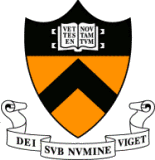 if you replace group by god, that’s the Oxford motto “The Lord is my Light” (“Dominus Illuminatio Mea”) and the Princeton motto “Under God’s power she flourishes” (“Dei sub numine viget”). 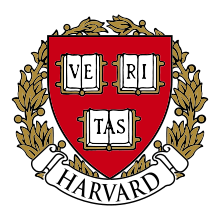 Above all, like every other scientist, we seek to find the truth (latin “veritas”, the Harvard motto). That’s what makes science fun, isn’t it? According to the American physicist Richard Feynman, it is the pleasure of finding things out which makes science worthwhile. It is the reason we do science: the joy that comes from learning something that we don’t knew before – sometimes even something which nobody knew before. Complex systems theory cuts across the boundaries between conventional scientific disciplines. It makes use of ideas, methods and examples from many disparate fields. And its results should be widely applicable to a great variety of scientific and engineering problems. So this blog is about discussions of Complex Adaptive Systems (CAS) and related topics: agent-based models, complex systems, self-organization, emergence and emergent behavior. In short, nearly all interesting things with some cultural or scientific connection: everything which contains interesting new informations for your neurons. Start reading now, and join us if you like.